For affiliates who promote physical products from e-commerce retailers, there’s no greater tool than the datafeed. Using datafeeds, you can quickly and easily create detailed web pages that include specific products and links that go directly to those products. Although datafeeds can be intimidating to many new affiliates, they’re extremely convenient once you get accustomed to the concept. In reality, a datafeed is nothing more than a spreadsheet created by the merchant. It contains information like the product name, URL, description, price, and an image. However, because of the way datafeeds are formatted, computer programs can be used to place that data in a variety of different layouts and search tools. 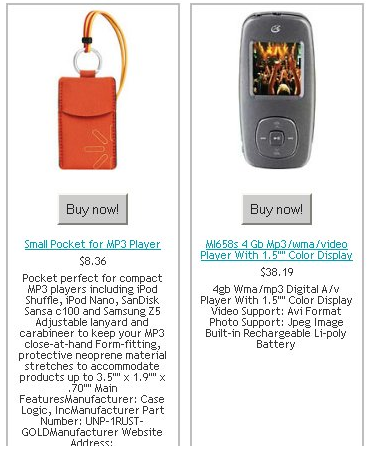 If you wanted to create a page about mp3 players from Chinavasion, you could do that in a matter of minutes with our datafeed. The Chinavasion datafeed contains a list of the basic details of all of our current in-stock products. The information is updated once a week on Fridays. 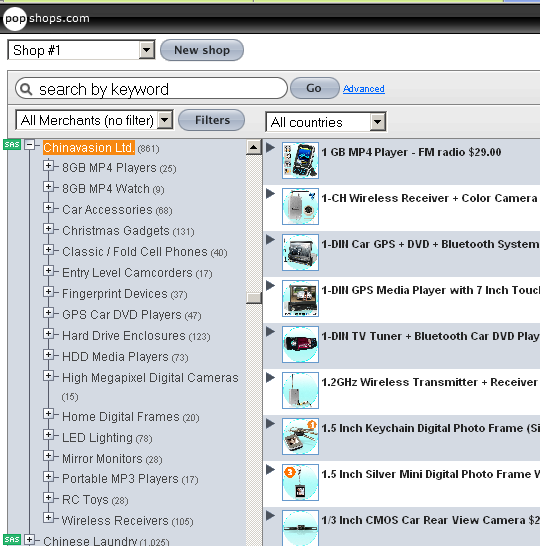 To get started, you’ll want to search merchants in Shareasale and look for the datafeed symbol by the merchants you like (signified by three lines of 1s and 0s). If you’d prefer to see only those merchants with datafeeds, you can use the "View Those with Datafeeds" link in your user dashboard. If you’re fairly technical and you want to work directly with the raw datafeed, you can sign up with the merchant and then visit the "Datafeeds" link in your user dashboard. From there, you can apply to get FTP access to download the merchant’s datafeed. For most users, it’s far easier to use a program like PopShops to create product-rich affiliate stores. To get started, visit PopShops.com and sign up for an account. You can get started with a free account, but if you want to make many pages, you’ll eventually need to upgrade to a paid account. To create a shop, you’ll just enter in the types of products you’d like to promote and then click add on the items you would like to include in your store. Remember to use only those merchants whose programs you are a member of. If you’re not familiar enough with web technologies to know if your site can handle PHP, you can either contact your hosting provider or select the HTML. You can also get help at the PopShops sub-forum on ABestWeb.com. Most major web hosting providers will be discussed there if you search. When you’ve finally uploaded your shop, it should look like a very simple e-commerce page. You can just repeat the process and upload as many product or category pages as you’d like to add to your site. Once you get a little practice working with datafeeds, you’ll be able to create powerful affiliate sites in a fraction of the time that it would have otherwise taken you to build them manually. Although it may seem confusing at first, it’s most definitely worth the effort to learn.